YUMMM. Seriously, this is some restaurant quality food right here. But now you don’t need a restaurant to enjoy this deliciousness! You can make this at home so so quick and easy. The chicken only needs 30 minutes of roasting time, making it perfect for any day of the week. 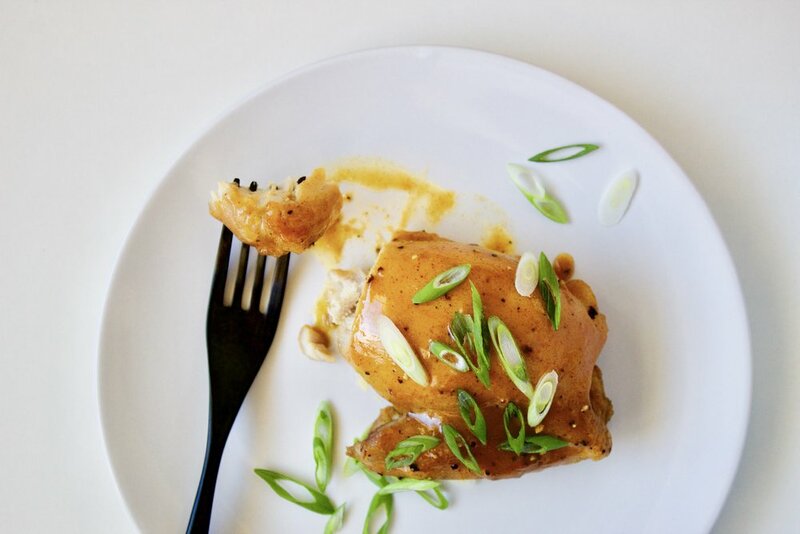 If you love honey mustard, you are really going to love this chicken. 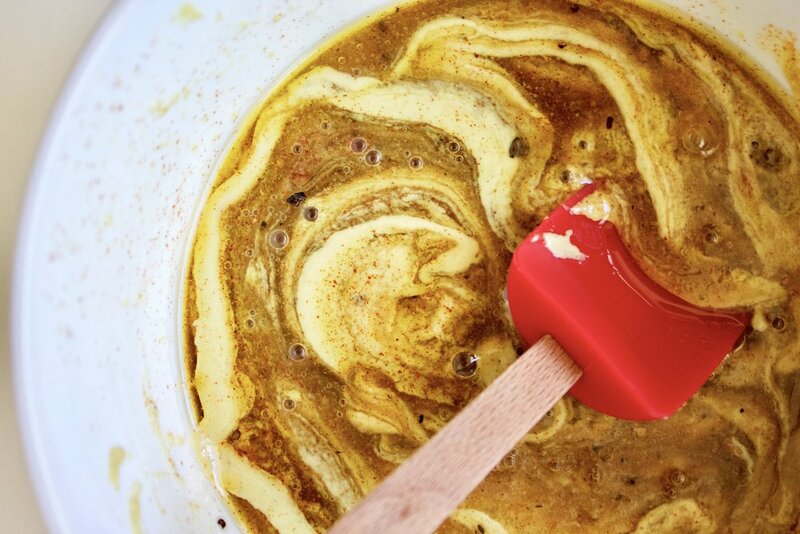 The honey mustard glaze is sweet and tangy and just a little spicy, just like honey mustard should be. 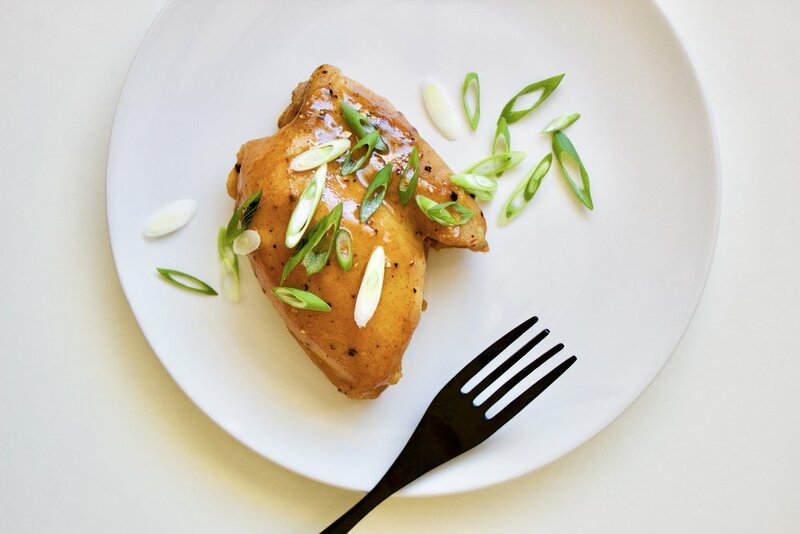 It gets a little caramelized in the oven and takes plain chicken to the next level. 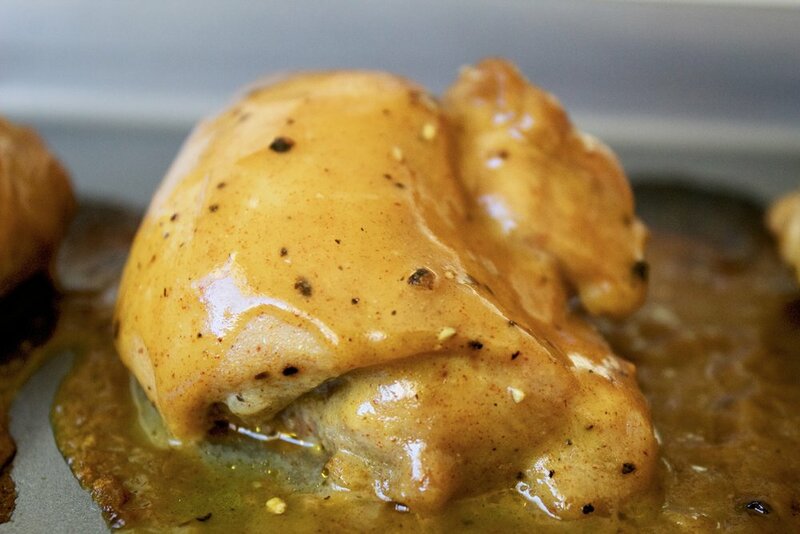 I like to use chicken thighs, especially when roasting, because they end up much more tender and juicy than the breast. Yes, thighs do have more fat, but you can easily trim off excess. So, for the vast majority of people, I would say there are no worries in enjoying chicken thighs. 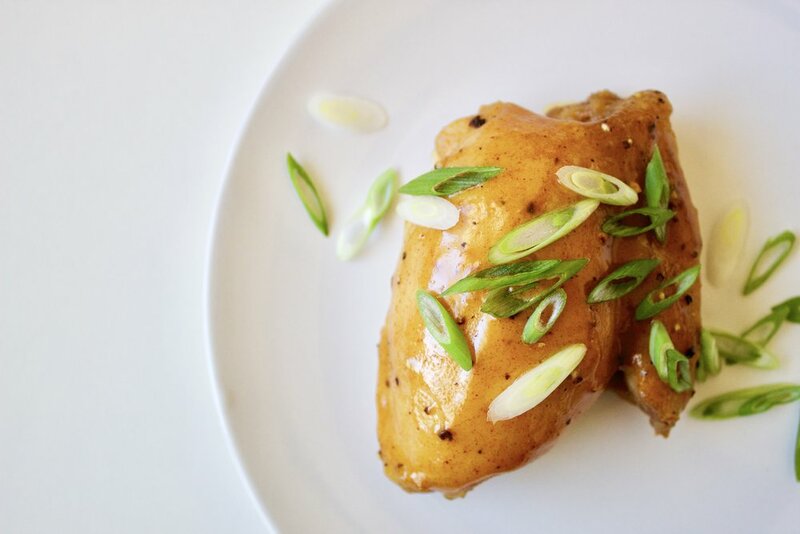 The glaze here adds even more moistness to the chicken with a smooth coating to lock in the juicy flavors. 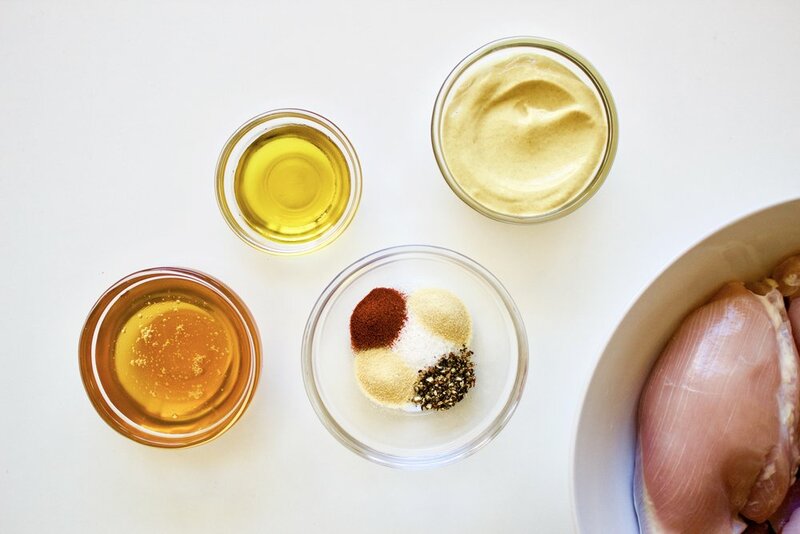 Trim any excess fat off the chicken. In a bowl mix together all other ingredients until homogenous. Coat chicken evenly with the mixture, reserving ~2 tbs. Place chicken on a sheet tray (line with parchment for easier cleaning) and bake in the oven for 25 minutes. 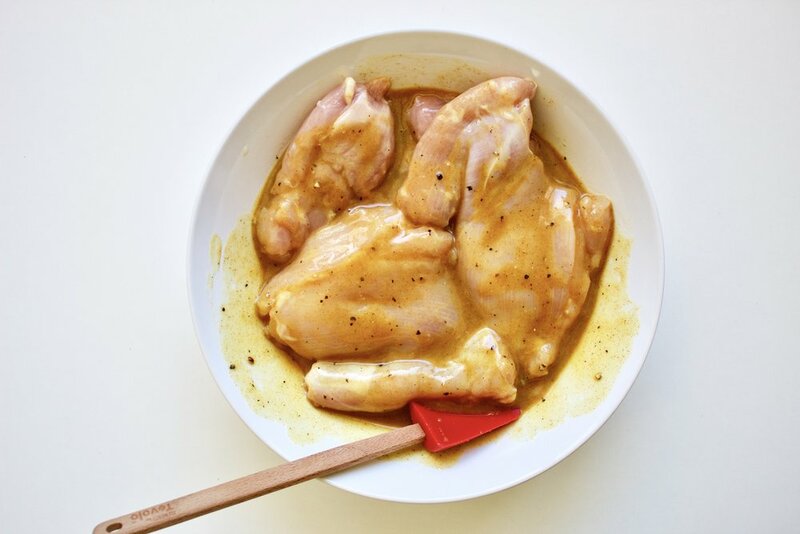 Spoon or brush the remaining honey mustard mixture onto the chicken and bake another 5 minutes. 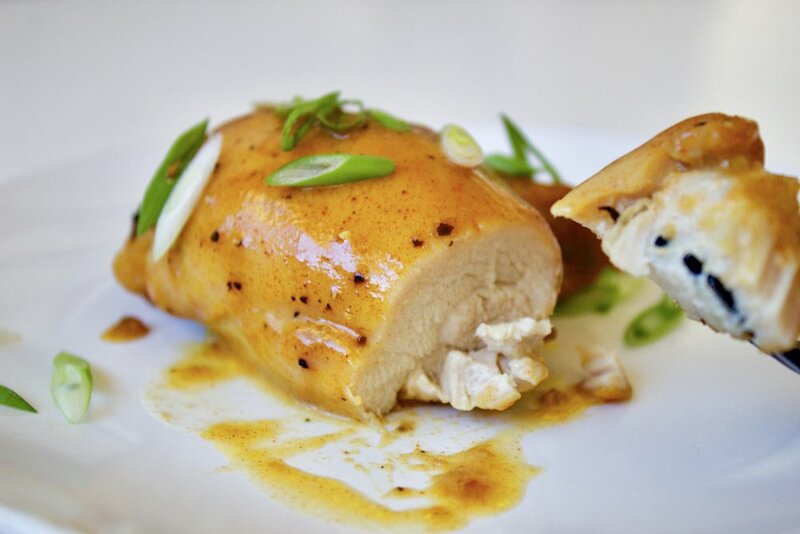 Chicken is done when the internal temp is 165°F/74°C, or when white throughout. Notes: You can use chicken breasts or bone-in thighs if you like too. The cooking time will likely be a little different with these cuts though. Yellow mustard will work in place of Dijon. Easily scale this recipe up as you need.